#MindGames: Snacking Made Easy With Epigamia’s Sweet & Savoury Yogurts! Let’s face it. It’s been six months since those New Year’s resolutions of getting fit and eating healthy have long disappeared from our minds. But who says you need to make grand gestures and big sacrifices to achieve your goals? Sometimes starting small goes a long way in contributing to a big goal – and Epigamia understands just that. 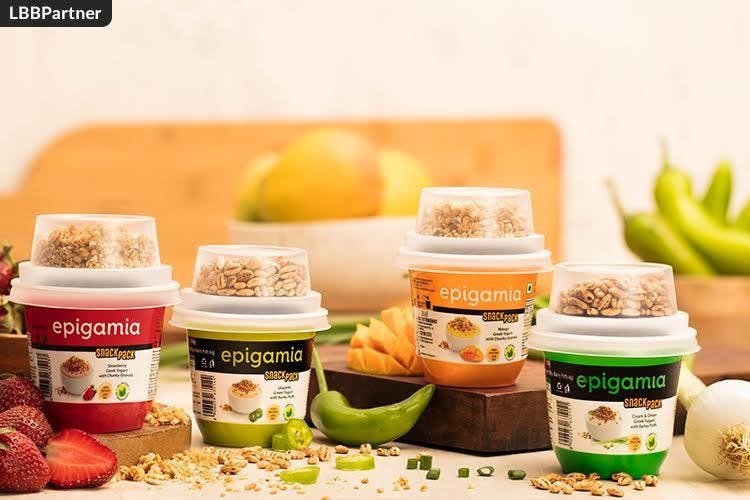 If you think eating Greek yogurt only means a sweet, fruity bite, then Epigamia’s latest snack pack range is going to surprise you with it’s new savoury variants! A perfect mix of unique flavours,, you need to add this to your shopping list and make it a fun ride towards a healthy lifestyle for your tastebuds! Those 5pm hunger cravings in office often mean you’re reaching towards greasy chips or glucose biscuits to get your mind back on track. Switch to Epigamia’s snack pack, that has a jalapeño greek yogurt with fibre-rich barley puffs for that sour kick. Creamy texture with a spicy taste? Hell yeah! The next time you want to try a yogurt that’s both smooth and flavourful, look no further than Epigamia’s cream and onion yogurt. An ideal snack, you can even add it to your salad as a dressing or dip some carrot and cucumber sticks in it for a yummy meal. The mango season seems to have stayed around longer, and it’s unfair you have to resist the sweet, juicy fruit in pursuit of healthy eating. That’s why mango Greek yogurt by Epigamia is the perfect solution – packed with the goodness of fruit, flavour and nutrition, it even has chunky granola that make it a yummy crunchy bite. A go-to flavour ensuring both- a sugar rush and good vibes, the Epigamia strawberry Greek yogurt will kill any craving for sugary drinks or sweet treats, and offer a fulfilling, wholesome bite. With chunky granola, you could even have this first thing in the morning or blend it to make a smoothie on the go. Packed with high protein and low in fat, the Epigamia snack pack is the best way to enjoy a healthy snack, without compromising on taste and flavour. Apart from the snack pack, Epigamia is available in eight flavours and is available across retail outlets in the city. So why wait? Start snackin’ now! This post is in association with Epigamia.